Jordan Spieth boasts Australian Open form figures of 1-2-1 and a title hat-trick looks at the mercy of the assured American raider this week. Spieth won the 2014 edition by six shots at the venue being used again this time – The Australian Club, Sydney – then was beaten by a shot at the same track in 2015. The tough Texan reclaimed the trophy at Royal Sydney 12 months ago, emerging triumphant from a three-man playoff against Cameron Smith and Ashley Hall. Spieth has always taken this event seriously, aware of its proud history. 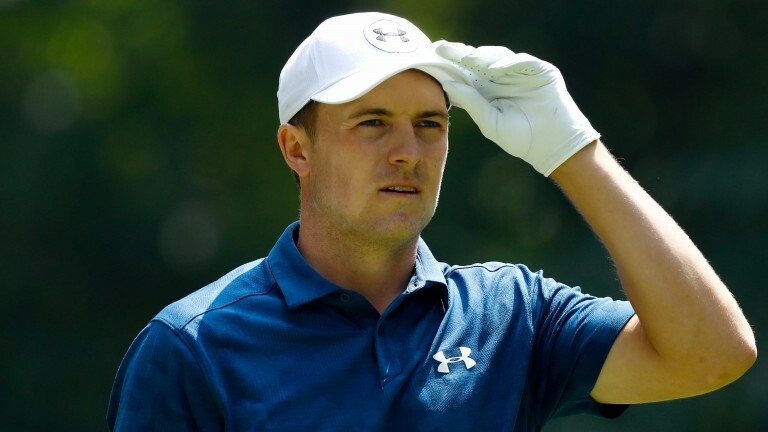 The Stonehaven Cup has the names of Gene Sarazen, Peter Thomson, Bobby Locke, Gary Player, Jack Nicklaus, Arnold Palmer, Greg Norman, Tom Watson and Rory McIlroy upon it, and the Aussie Open provided a springboard for Spieth's sensational 2015 season. This year's event looks particularly straightforward for Spieth, who never treats it as a holiday. There is no Adam Scott in the field, and while Jason Day lines up, he has been struggling for confidence, and has not competed in the Australian Open since 2013. Day finished 22nd as an amateur in his only previous Aussie Open at The Australian (2004). The demanding 7,230-yard, par-71 track, has three par-fives, and the weather forecast further encourages an investment in Spieth. Breezy afternoons are forecast for Sydney. Few players are more adept at handling wind than the Open champion. Spieth is without his regular caddie but is one of the deepest thinkers in the game, more than capable of taking responsibility for club selections. Long-time coach Cameron McCormick will perform the role, and given Spieth has so little to beat, he is worthy of his odds. Smith is an improving youngster, but a short price given he is yet to win a main-tour title. Matt Jones grew up playing this course and the 2015 champion must be respected, while Jason Scrivener won the NSW Open by six shots last week and his coach, Gary Barter, is based at The Australian. Scrivener knows the track well. Oliver Goss, second in the Queensland Open last time out, is full of talent and a tempting 90-1 chance, but preference as an each-way alternative to Spieth is Curtis Luck, who topped the world amateur rankings until turning pro in April. The 21-year-old, 2016 US Amateur champ, appears to be going places. Luck, who won on the Australasian Tour when still an amateur, finished 46th in the Masters in April. A share of fifth in the Quicken Loans National three months later showed he could already compete on the US Tour. He tied for 11th on his Aussie Open debut last year. The action starts at 7.50pm UK and Ireland time on Wednesday.